We are about to head into one of the busiest times of the year in the world of arms control campaigning. Every October, the First Committee of the United Nations General Assembly (UNGA) meets to discuss a wide range of issues relating to international peace and security. To the untrained eye and often even the trained eye, the world of international organisations and international law is a complicated structure. It is a mixture of different bodies and organisations all with different abilities to make law. Then, there are the different types of law some that are binding on states and some that are not. Which ones apply? Which ones are just persuasive but not enforceable? What does all of this actually mean? Unless you’re lucky enough (or unlucky depending on your view) to have spent years learning the structures of the varying international organisations and can or cannot do, it can all seem quite daunting. CADU has put together a simplified guide to the world of United Nations General Assembly Resolutions and the First Committee. The United Nations General Assembly is one of six organs of the United Nations. It was created by Article IV of the UN charter (the UN Charter is the legal document that created the United Nations, stipulated what powers it has as an organisation and how it would work). It is the only body of the UN which has representation from all 193 member states. Whilst the UNGA cannot make binding legislation (that power lies with the unrepresentative Security Council) it can make recommendations to member states in the areas it has been given competence by the UN Charter. These recommendations form non-binding legislation. They are not actual enforceable law but ‘soft law’ which can over time transform into binding ‘hard law’. Because all states can vote and it works on majority voting (two thirds), if a resolution is successful, it does show that a majority of states support it and therefore there is a lot of political will behind it. Although, politically speaking, it can often depend on which states support it. Generally, a draft resolution is more likely to become ‘hard law’ and therefore binding and enforceable if it is supported by Security Council members. What is the First committee? Because of the sheer range of topics the UNGA has to discuss it has six committees which focus on different areas. The First Committee discusses all questions which fall under the heading of disarmament and international security. The First Committee meets year in New York. Representatives of each member state are welcome to attend the meeting. The committee usually meets in October where attending member states discuss the draft resolutions placed before it. In early November, member states vote as to whether each draft resolution will be placed before the full plenary session of UN General Assembly. How do issues make it to the First Committee? A single state or a grouping of states can submit a draft resolution to the First Committee, that state or group of states are the sponsors of the draft resolutions. They cannot be submitted by individuals or NGO’s. What happens if an issue is successful at First Committee? If an issue gains more than two thirds of the vote at First Committee it will then be put forward as a draft resolution to the full plenary session of the UN General Assembly in early December. All states present, vote at the plenary session, if a resolution gains more than a 2/3 majority of state votes (each state gets one vote each) then it will become a UNGA Resolution. Does this mean that it then becomes international law? The simple answer is no, however, as with most things in the world of international law formation, nothing is ever simple. The make-up of the UN is such that only the Security Council – which is made up of five permanent members with the power to veto decisions, and 10 non-permanent members, who are elected on a two yearly basis – can make binding legislation. 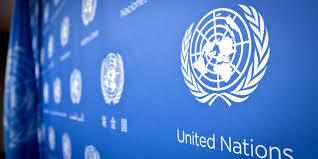 Recommendations by the UNGA do carry some weight though, because at least two-thirds of states have agreed with them, in some cases, over time they can come to form what is known as customary law or to lead to a separate, binding treaty if there is political will or a lot of public pressure. If you’re super interested in keeping up with the discussions of the First Committee, you can watch them live here: http://webtv.un.org/ or follow @cadu_UK @ICBUW and #armscontrol2014 for updates.